A core priority within the provincial strategy for Indigenous Sport, Physical Activity & Recreation includes the development of a consistent, comprehensive Indigenous Team BC program that results in increased participation and better preparation for athletes to participate in elite competitions such as the North American Indigenous Games and the National Aboriginal Hockey Championships. The Indigenous Sport, Physical Activity & Recreation Council (I·SPARC) is responsible for managing the Team BC Program for both the North American Indigenous Games (NAIG) and the National Aboriginal Hockey Championships. For more information on Team BC for North American Indigenous Games, please visit Team BC – North American Indigenous Games. For more information on Team BC for National Aboriginal Hockey Championships, please visit Team BC – National Aboriginal Hockey Championships. The Soaring Raven represents the strength and determination of the Team BC athletes, coaches and all nations within British Columbia. The Sun provides connection to our ancestors and is the basis of all light and nourishment on this earth. The Raven flying, swooping and soaring parallels the plight of the athlete. With great confidence they show that new heights are possible by transforming and adapting to the surroundings of the unknown. After launching a province-wide competition, I·SPARC unveiled Team BC’s new theme song set to premiere at the Toronto 2017 North American Indigenous Games (NAIG). The song will be used to inspire Team BC during competitions and to create a unique presence at the Opening and Closing Ceremonies. 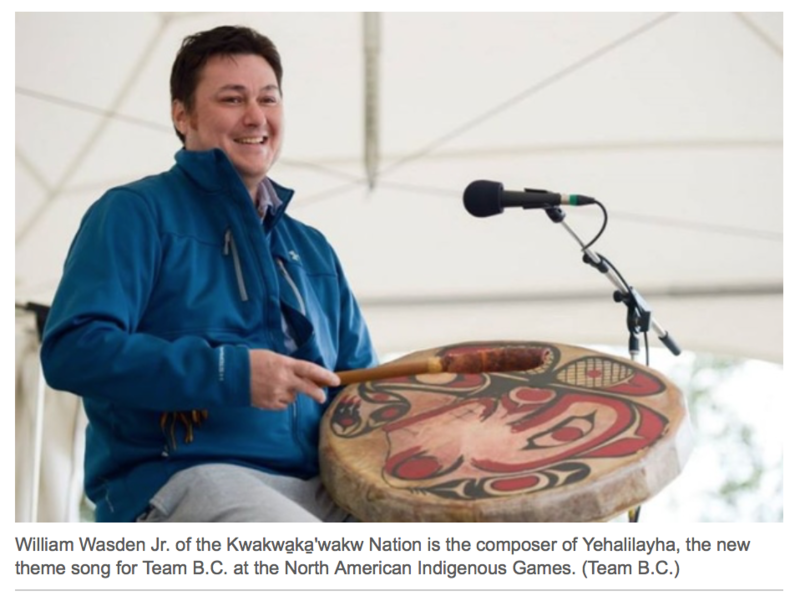 Seven songs were submitted from Indigenous artists from across BC to the competition and were adjudicated by Team BC’s Theme Song Selection Committee ultimately leading to the winning song composed by William Wasden Jr. from the Kwakwa̱ka̱’wakw Nation. 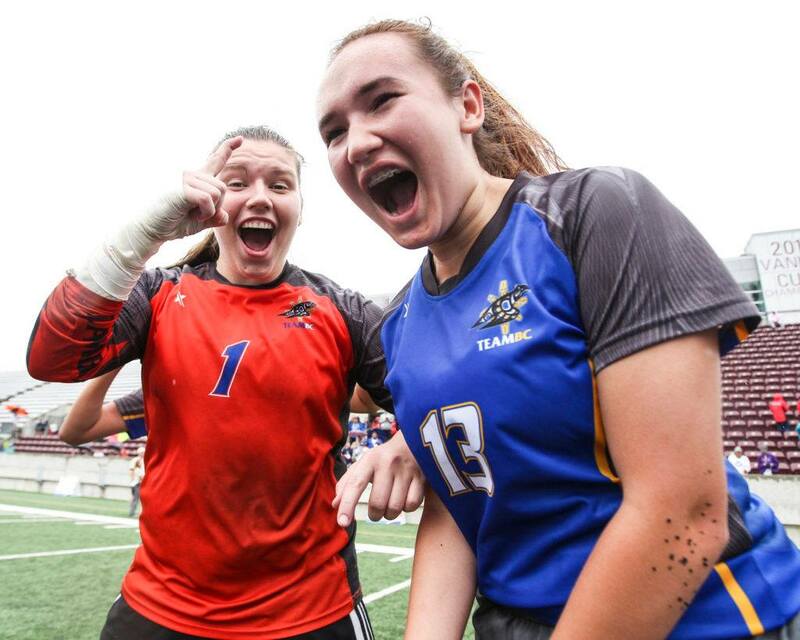 The new theme song will be unveiled at Team BC’s Pep Rally prior to the 2017 NAIG Opening Ceremonies and sung at all future events in which Team BC participates. 545 Indigenous coaches and athletes from across the Province will learn the new theme song from William Wasden Jr. at Team BC’s Pep Rally. Team BC’s contingent will sing the song while marching in the Athlete Parade as they enter the Opening Ceremony. The Opening Ceremony kicks off the 2017 NAIG on July 16, beginning the week-long international multi-sport games. Approximately 5,000 Indigenous coaches and athletes from across North America will gather in Toronto, Ontario to participate in the 14 youth-sport competitions from July 16-23, 2017. Listen to Team BC’s New Theme Song!